The hands of the potter, carver, and weaver. 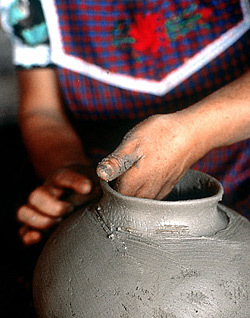 This Website exists to celebrate the potters of southern Mexico. 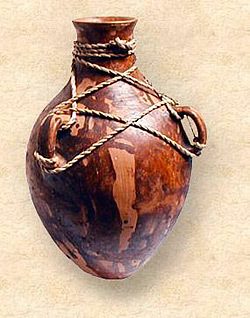 The knowledge and life ways in the pottery villages have existed as such for thousands of years, a type of sustainability rare in the human world. As the industrial world moves into Oaxaca and neighboring states with its plastic buckets and aluminum pans, these articles are disappearing. 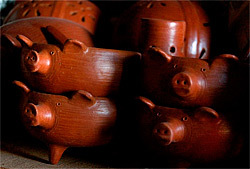 Through our workshops, cultural tours, and this Website we hope to lend a hand to the culture of pottery and other arts by giving these artisans the opportunity to continue with their ancient trade. 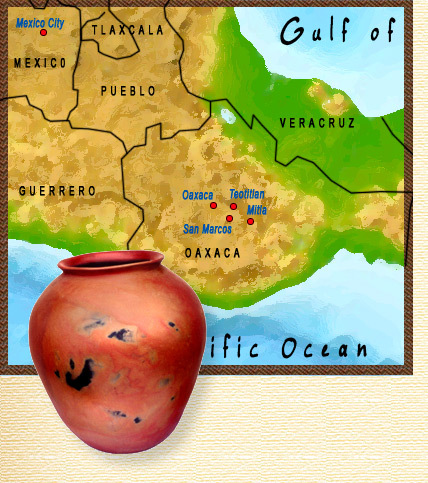 Through this Website you may take a tour of pottery villages, learn about the potters, read a journal of adventures in Oaxaca, see the detailed pottery-making methods, and view the huge variety of pottery styles. And we have a few galleries of beautiful photographs. 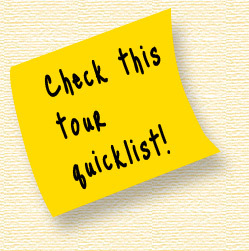 All of this, of course, is designed to instill in you an insatiable desire to visit this wondrous land. If you are considering a trip to Mexico beyond the coastal resorts and umbrella drinks, visits with artisans provide a rich touchstone into their homes and culture. 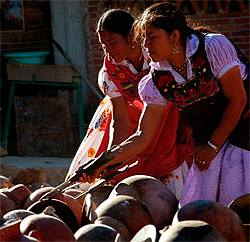 The links in the left sidebar will take you to our companion Website, TraditionsMexico.com, and its delectable menu of workshops and cultural tours.